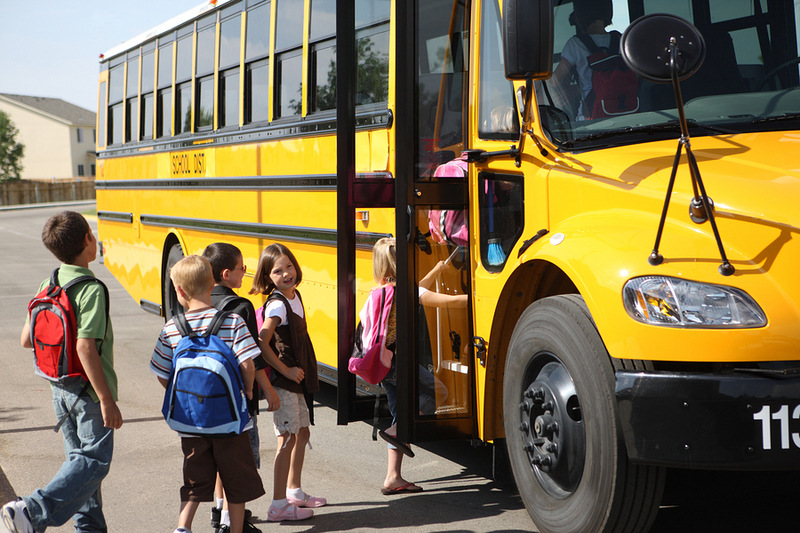 With school back in session, it is important that we brush up on the laws regarding school buses and pedestrian safety to avoid any accidents. The traffic in the morning and afternoon on school days can prove to be a mess due to the massive congestion. Kids are in a hurry to get to school on time or get back home, and drivers are worried about making it to their destinations on time. It is when this hurried feeling of pedestrians and motorists alike get in the way that can cause accidents that could have otherwise been avoided if proper care was taken. If you drive your children to school, to avoid any accidents, you should always follow the proper drop off procedures as designated by the school. Never double park your car because doing so can block visibility for others. Never load or unload children on the side of the road by the school, and it may be beneficial to carpool to and from school to reduce the number of vehicles in a hurry to drop off or pick up students. Most of the time when we talk about negligence that can result in injury, especially when it comes to children, we usually place the blame on something that an adult isn’t doing, such as carefully monitoring a swimming pool while children are playing. Or forgetting about gun accessibility, leading to a discharge in the home. Or even just not paying attention to the road because something on the phone was more interesting than whatever was on the road itself. But there’s one area where negligence can come from what an adult does, and that is leaving children—or even pets—in a car during the summer. Sometimes this can lead to serious illness, and other times, tragically, it can lead to death. If you’ve lost a loved one through the negligent actions of another party, it can be devastating. Your family and your loved one deserves justice. Though no amount of money will ever make up for the loss of their life, a settlement for wrongful death can help reduce the burden of the loss. It can help make sure everything from funeral costs to your family’s future financial stability are covered. Wrongful death is the legal term for when someone has lost their life as the result of another’s negligent or wrongful acts. 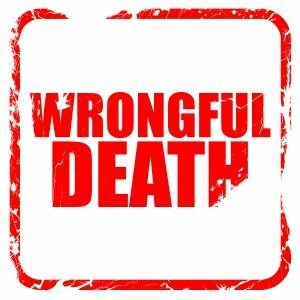 In the state of Florida, wrongful death is defined by legal code 768.18 “The Wrongful Death Act”. The legal code also defines the right to action, who can file a wrongful death claim, damages that can be awarded, and the statute of limitations for wrongful death claims. 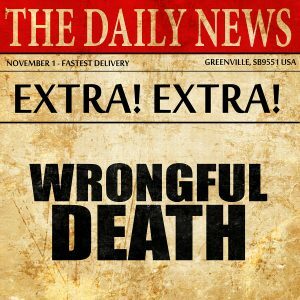 Wrongful death is a civil claim and can be filed alongside a criminal case. 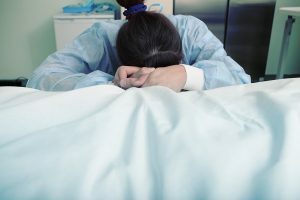 Who Can File A Wrongful Death Claim In The State Of Florida? How Do You Assign Fault In A Public Accident? Thursday, March 15, 2018 is going to be a date that will be remembered by everyone at the Florida International University in Miami. A pedestrian bridge that was still not considered complete, and wouldn’t be fully operational until 2019 collapsed, killing six people and burying vehicles that were passing under it. The tragic irony of the situation is that the bridge had originally been built in order to save lives, as a way to prevent more traffic accidents with students hit by cars as they attempted to cross the street. This is not like typical cases that a personal injury lawyer would normally take. In the majority of cases, there will be a vehicular incident, such as a car crash, or there may be an accident on the job that causes an injury, or there may even be some negligence at work in a place of business, such as people taking a fall due to slippery, just washed tile on a floor. The recent tragic bridge collapse near Miami led to numerous deaths, and Miami-Dade Police Director Juan Perez recently told reporters that all victims killed in the accident are now accounted for.The accident showcases not only the importance of serious oversight in bridge construction, but also the importance of understanding where fault may be placed in a personal injury case. The accident occurred on a bridge connecting Florida International University and the city of Sweetwater to one another. 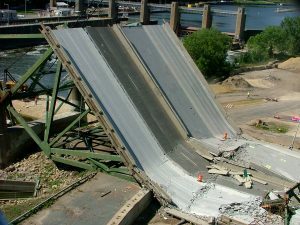 However, the 174-foot main span of the bridge was placed just five days before the collapse, and emergency workers have struggled to remove 950 tons of weight from the accident site. When someone you love has been taken away as a result of an unexpected accident, you’ll likely experience a flurry of emotions. The deepest levels of hurt can only be matched by the deepest levels of anger toward the negligence of the party that caused the death. Recovery from such a loss might be difficult and take time, but if you believe that another party is at fault in the death of your loved one, you might be able to file a wrongful death claim against them. • Child born out of wedlock of the mother; also of the father if it is established that the father assumed responsibility and support for the child. Recently, an Amtrak train derailed just south of Seattle, Washington. The train was making its first-ever trip, traveling from Seattle to Portland, Oregon. When the train derailed, it toppled over an overpass and crashed onto the highway below. The tragedy resulted in three deaths and over 100 injuries. Unfortunately, it appears that liability suits will be an issue as families attempt to heal and move forward. The train derailed because it was going nearly 2.5 times faster than it should have been. The train entered a curve at 81 mph, even though the recommended speed was 30 mph. Those killed were all passengers on the train. 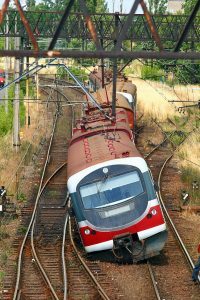 Although the train struck at least five cars when it tumbled to the highway, no vehicle passengers were killed. Were There Wrongful Deaths At Hollywood Hills? One of the things that many people learn when a severe weather event such as a hurricane occurs is that the most dangerous time is not necessarily during the storm itself. While a storm is a capable of ripping off the tops of buildings and even knocking down trees, often it is the chaos after a storm passes when the danger is greater. 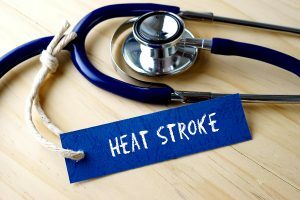 For eight seniors at the Rehabilitation Center in Hollywood Hills, this was a tragic discovery that was made when the residents at this care center found their lives endangered not by gale force winds, but heat in their rooms. The management of the Rehabilitation Center made the decision to not move their residents when news of Hurricane Irma’s approach came. They had confidence in the structural integrity of their building, and were sure that the people in their care would remain high and dry as the storm passed. They were right about their assessment, and even as the hurricane hit the area, the seniors in the care of the Rehabilitation Center staff were well protected against the elements. Should Parents Be Accountable For The Acts Of A Child? In July of this year, a sad case took a dramatic turn of events as one set of parents went to court against another family for wrongful death. In this case, two 14 year old teenagers went missing and now one family is blaming the other, and taking a definitive stance by going to court, suing for negligence and wrongful death. What happened? How did it come to this? This court case stems from an incident that took place two years ago, at the town of Jupiter Inlet, in the Palm Beach area. In July of 2015, 14 year old Perry Cohen and Austin Stephanos left Jupiter Inlet alone and unsupervised on an 18’ craft headed for some pleasure cruising on the ocean. They never returned. A search was conducted for the teens and the boat they had left in, but while the boat itself was eventually found and recovered, the two teenage boys were never found. One of the worst things that can happen to any family or group is losing a loved one through a senseless accident that could have easily been prevented. When someone else’s negligence, carelessness or sheer recklessness takes someone away, even if it is accidental—or perhaps especially if it is accidental—there should be consequences. No one should be responsible for causing the death of another person and simply be allowed to walk away and resume his or her life than the lives of others have been irreparably altered due to this loss. This is where an accident lawyer helping with a case, such as wrongful death can make a big difference. But not all situations are as simple as the tragedy of a loss of a life. Things do not always play out as a binary scenario of a person either surviving or not surviving an accident. And that’s when things can get complicated, which is why we’re going to look one of the more complex and upsetting legal situations, the survival action, and how it compares to wrongful death. 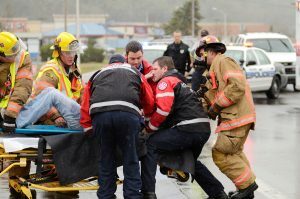 Personal injury law can encompass a lot of different specific things and specific types of accidents, but in the end, the primary thing to keep in mind is simply that those who are injured by the reckless or negligent actions of someone else could be entitled to financial compensation for their injuries. But what about those who lose a loved one to an accident? When someone dies due to the reckless actions of another party, it is what is known as 'wrongful death' and the survivors who are left behind do have rights. One of those rights is the opportunity to seek out financial compensation for their loss. The first step you'll need to take is understanding what wrongful death claims involve and what allows you to seek compensation. Essentially, these types of legal claims are the same as other personal injury claims in that it must be shown that your loved one was killed through reckless or negligent actions of someone else. Losing a family member can be incredibly traumatic, especially when it wasn’t their time. Between the grief and dealing with the financial impact of the loss, it can be emotionally overwhelming for anyone. Though no amount of money can ever make up for losing a loved one, a wrongful death claim can help ease some of the impact of their loss and help protect your family from even more hardship. So if your family member has passed as the result of a wrongful death accident, you need to pursue a wrongful death claim. Of all the various types of personal injury law, one of the most damaging to families is that which involves wrongful death. Wrongful death law has a direct impact on everyone in the life of the person who is lost, and in more ways than one. While overcoming the loss of a loved one is an emotional challenge that will leave lasting memories forever, it’s even worse when the death could have been prevented and was instead caused by the reckless or negligent actions of another. 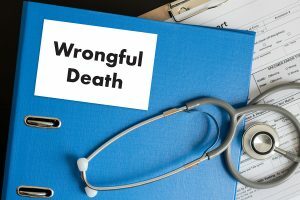 Taking a closer look at wrongful death law is something that is well worth doing for anyone who has lost a loved one recently. Essentially, wrongful death in terms of Florida law refers to a death that has occurred as the direct result of the reckless or negligent actions of another party. If certain conditions are met, the negligent parties could be ordered to pay financial compensation to the family of the deceased. When you are facing the death of a loved one it can be very hard to know what to do next. The trauma and grief of losing someone you love can make it difficult to understand just what the loss means for your family. Though financial compensation will never be enough to bring back your loved one, it may be a necessary avenue to secure the financial well-being of your family. If your family member has died because of the actions of another it is crucial you understand the difference between wrongful death and a homicide so that you can evaluate your legal options and make a choice for the best course of action for your family. When most people think of medical malpractice they think of doctor errors or mistakes. However, there are many other types of medical malpractice that can impact your and your family’s health and well being. We have put together this guide of the most common types of medical malpractice in case you or a loved ones has received negligent care. Doctors errors occur when a doctor treats a patient without the competency required for the treatment. These errors can also occur if the doctor is negligent or distracted. Doctor errors can also concern prescribing the wrong medication or a dangerous dosage. 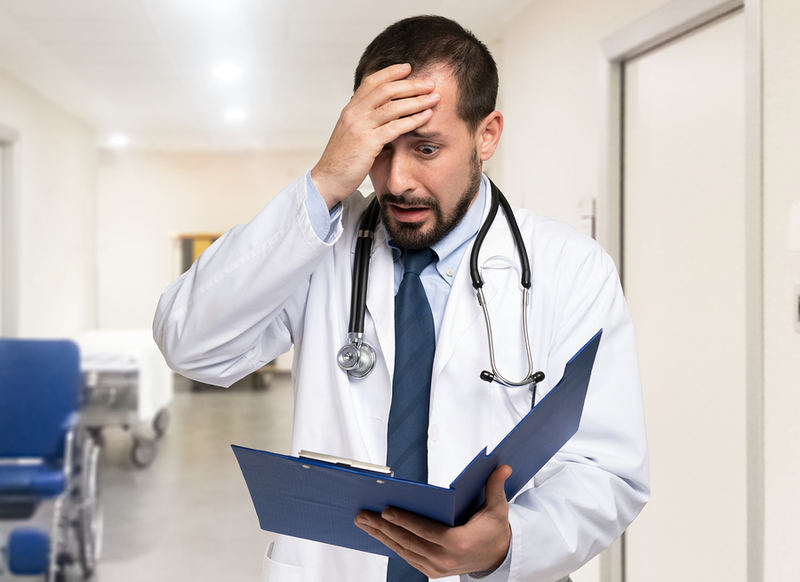 Doctor errors can also happen during surgery, childbirth, the administration of anesthesia, and any other form of medical practice. Surgical errors happen during surgery. Surgical errors are the result of a surgeon lacking the competence to perform the procedure, distractions, or can be deliberate. Surgical errors can also occur as a product of misdiagnosis and the surgeon does not do their due diligence to ensure they are performing a necessary or appropriate procedure. 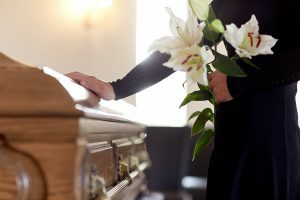 Is A Wrongful Death Suit Right For Your Family? When a family member dies from a wrongful death, it is incredibly hard on the survivors. There is no real remedy for the loss of a loved one, however a wrongful death suit may help you seek justice and ensure the future safety and security of your family. 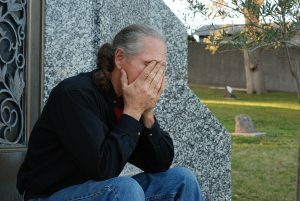 When dealing with grief it is difficult to think about going through a legal battle, however a good lawyer understands the stress and the trouble, and will help guide you through a wrongful death suit so that it is not a strain for you and your family to see justice for the loss your loved one. Wrongful death is when a person has died through the negligence or misconduct of another person or the actions of a company or entity. A wrongful death lawsuit is a civil claim brought forth by survivors. During a wrongful death lawsuit the survivor or survivors seek compensation for the losses associated with the death. The death of a loved one is heartbreaking and painful. This is an event in our lives that we had always hoped would never happen. When that death wasn’t due to natural causes, but rather a defective product, it can be especially unfortunate. Some products are naturally dangerous such as a kitchen knife. However, consumers don’t expect to suffer injuries while using a product that is made to keep us safe or has promised us to be safe to use. Unfortunately, some still end up paying the price for home appliances, automobiles, medical devices, and several other products that fail or became more dangerous than it was supposed to be. Product manufacturers need to ensure that their products are safe from defects that may cause injury or death. When companies fail in this duty, it is their customers that end up paying the price. However, the survivors of the deceased may be able to file a wrongful death lawsuit in order to the financial compensation needed to recover. As far as automotive news goes, Volkswagen’s Dieselgate scandal has been hogging all the headlines. However, VW’s intentional attempt to fool regulators has been overshadowing those regulators’ attempts to step up and start penalizing car manufacturers for failing to issue recalls as quickly and as frequently as they ought to. The thing about General Motors’ faulty ignition switches, which tended to shut off the car engine (and the air bags) while in motion, is that the National Highway Traffic Safety Administration and other regulators had opportunities to catch the problem early, but they failed to do so. GM’s bankruptcy and reorganization during the Great Recession go a long way towards explaining why even a major problem like the ignition switches would fall through the cracks, but even so evidence and fatal examples were piling up without anyone reading or acting on GM’s internal reports. For as powerful as federal institutions and agencies are in the United States of America, large parts of both the civil and criminal codes are left to individual states to legislate and enforce. 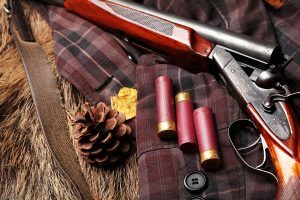 Major laws are generally consistent throughout America – laws such as those which cover murder, arson, and robbery – but even then the details can change from state to state. For instance, according to the common perception of homicide laws, there are two degrees of murder: the first is premeditated and the second is more spontaneous. Below that are several degrees of manslaughter where death is not intended, and lastly there’s justifiable homicide where the death is intentional but for some reason unavoidable. There are few things in this world as painful as seeing a loved one die. Whether it’s your parent, sibling, or particularly your child, being a survivor is always difficult. And if you have cause to think that someone else is responsible for your loved one’s death, dealing with the pain can be even harder. 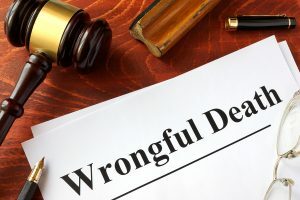 Filing a wrongful death suit will not bring your loved one back, but it may be able to force the person or organization responsible to pay for what they’ve done. Homicide and criminal negligence are criminal matters which the state prosecutes in order to impose a fine, a prison sentence, or very possibly the death penalty. 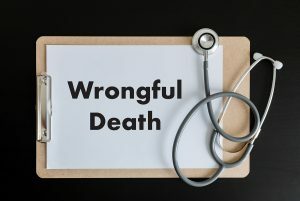 In contrast, wrongful death suits are civil cases which typically must be filed by a direct relative or the executor of the deceased’s estate. Few things are as difficult as losing a loved one. However, it's a sad fact of life that eventually we must say goodbye. But when someone close to you dies due to the actions of someone else, it's important to understand that you may not have to struggle financially to move forward with your life. 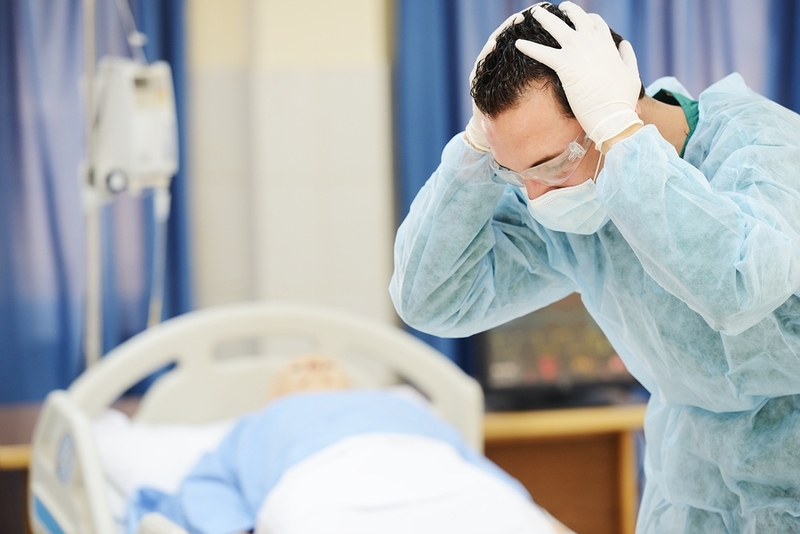 A wrongful death lawsuit is something you may be able to pursue. Wrongful death lawsuits are about much more than a cash grab, and are even about more than getting some kind of justice. In reality, they're an important way to pick up the pieces, grieve, and begin to get your life back together after losing someone you love. Losing a loved one can bring with it significant financial challenges including things like a lost source of income, heavy medical expenses, and large funeral costs. If the death was caused by the reckless actions of someone else, you shouldn't have to shoulder the burden on your own. That's where a wrongful death lawsuit comes into play.